58749/58707, CENTER CAP USED, 02-06, Audi, A4. PAINTED CHARCOAL, RAISED LOGO, PLASTIC CLIPS & WIRE RING. ORDER UNDER 58707 CENTER CAP. 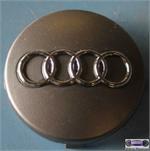 58749/58707, CENTER CAP USED, 02-06, Audi, A4. PAINTED CHARCOAL, RAISED LOGO, PLASTIC CLIPS & WIRE RING. FOR A 17", RIM, ORDER UNDER 58707 CENTER CAP.